Marvin and I have been neighbors for over 25 years. We are both the original owners of our homes. Shortly after moving in, we had a fence installed between our two homes. It’s been standing since then, but starting to look like it needed to be replaced. A year or two ago when I saw Marvin one morning, I asked if he had thought about replacing our fence. He said, “not really”. I guess he wasn’t ready to do anything about it. The wind had blown Marvins tree over, and it knocked over part of the fence that we shared, and knocked over part of the fence at the back of our house. The fallen tree was also blocking the sidewalk behind our house. I’d have to pay my deductible, which means I’m responsible for the first $500 or $1000 of damage. Like most consumers, I can’t remember what my deductible is so I’ll have to check the policy. 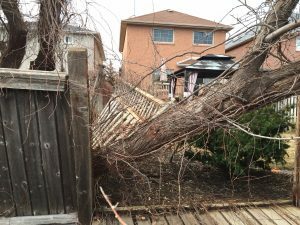 It’s possible the insurance company may only pay for the damaged/fallen portions of the fence. But it doesn’t make sense to fix only part of a 24 year old fence. Might as well replace the whole fence, right ? 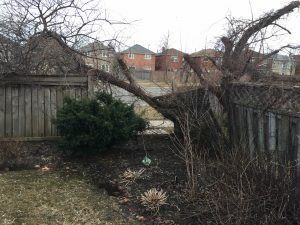 The insurance company is usually responsible to put their policyholders back in the same position they were before the loss occurred, meaning before the tree knocked over the fence. So all they may be responsible for it to fix the broken portion of the fence. The insurance company might not pay to improve or better my situation (ie replacing the whole fence). So if f I want to get the whole fence fixed, I’ll likely have to pay to replace the portion of the fence that wasn’t damaged. It’s a 24 year old fence, arguably at the end of it’s normal lifetime and due for replacement. 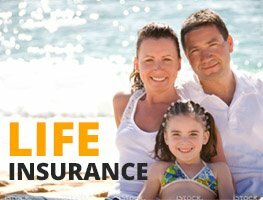 Insurance companies usually don’t replace/repair items that are at the end of their normal life span. For example, if you haven’t replaced your roof in over 25 years, and the same windstorm removes several shingles from your roof (which it did to some of my neighbours), the insurance company will likely not replace the roof. 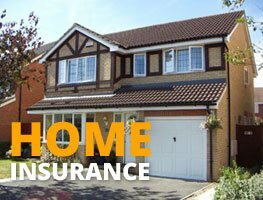 It’s a homeowners responsibility to do normal maintenance around their house, and the insurance will usually not cover this. In my case, the cost of the damages the insurance company will pay is likely less than the deductible. This means that if I report the claim to the insurance company, I may end up being reimbursed $0, AND lose the claims free discount on future home insurance renewals. 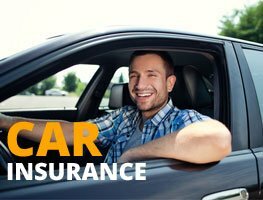 Losing the claims free discount will result in higher insurance premiums, so this would just make things worse. (B). The tree that fell over is blocking a city sidewalk. Perhaps the city will come and remove the tree (at no charge to me, but will they charge Marvin ?). At the same time, the fence at the back of my house was installed before I moved into my new home. Does that mean the city installed my fence, and would be responsible to replace it? Might be worth a phone call tomorrow to see if the city will cut down the fallen tree and replace or repair the fallen fence. (C). I could sue Marvin for the cost of repairing the damage to the fence. After all, it’s his tree that caused the damage. But neighbours shouldn’t do that. We should discuss it, and find a solution. Hopefully Marvin will agree it’s time to install a new fence, and we’ll share the cost between ourselves and avoid an insurance claim.